It used the technology to offer fans first dibs on the new LeBron 16 King Court Purple kicks. There was a time when the only way sneakerheads could get their new kicks was to camp outside in line for hours à la iPhone launch. 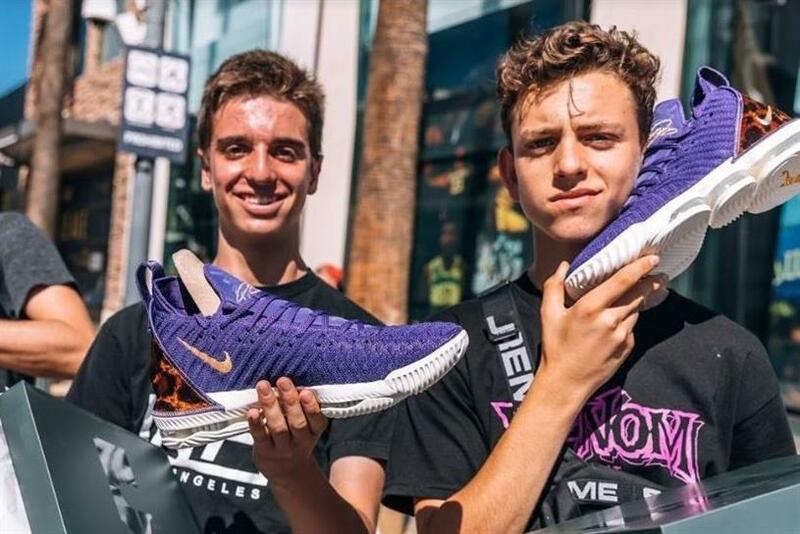 Foot Locker surprised fans over the weekend when it dropped an augmented reality scavenger hunt timed with the drop of LeBron 16 King Court Purple in Los Angeles. "Foot Locker has always looked for new ways to elevate the shopping experience for our customers," said Frank Bracken, VP and GM of Foot Locker U.S.
"It was a natural evolution to embrace A.R., taking our scavenger hunts to the next level. There was no better place to launch this exciting technology than in Los Angeles with this special edition of the LeBron 16." The launch experience, named "The Hunt," gave users the chance to unlock geo-targeted AR clues throughout the city, eventually leading them to the coveted limited-edition Lebron’s. The shoe sold out in less than two hours. It was created in partnership with NYC-based design and innovation agency Firstborn. The experience comes as Foot Locker partners with Nike to introduce a new type of mobile pop-up shop that will appear around the country during key basketball moments. "House of Hoops" serves athletes and fans by offering exclusive footwear launches and a unique "makers" experience along with a full complement of product from Nike, Jordan and Converse. Sneaker brands are quietly engaged in a space race to be the first to harness technology -- chiefly A.R. -- so consumers can virtually try on a new pair of kicks like they’re in-store. In June, marketplace Goat hinted at the release of such technology as soon as this year.